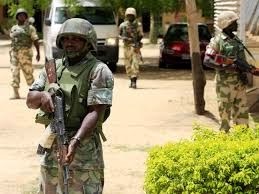 Exactly one week ago, during a counter-insurgency operation carried out by the Nigerian Army against the dreaded Boko Haram Sect somewhere between Mubi and Gwoza in Adamawa and Borno States respectively, Captain Musa Aliyu was allegedly shot alongside two other officers of the Nigerian army whose lifeless bodies have since been recovered. Aliyu’s body has however not been found. While the inspiration to write this article is not unconnected with the fact that Aliyu is a close friend of mine, with whom I have shared some of the best and most memorable moments of intellectual discourses, bottles of beer and a common vision to develop this country in our separate fields, Aliyu was/is a firstclass example of an individual who places this country’s interest above his at all times. His professional responsibility to the nation consumed him and was palpable the moment you met with this fine officer. It was in Aliyu’s flat in the Onitsha Barracks that I characteristically spent at least a week of my yearly vacation. Arrangements were also in top gear to perform this yearly ritual when the call of duty sent Aliyu to Mubi in Adamawa State to join his colleagues in special missions against the dreaded Boko Haram sect. This piece, while inspired by a close relationship that might be lost forever if indeed he is dead, is not entirely about one soldier, but about every officer and soldier of the Nigerian army and indeed the entire army as an institution. This is about the modus operandi of the institution, about the blanket of secrecy that over-mystifies the practices of the army, shields the financial outlay of the army from public scrutiny, and buries most Officers who die in combat in shallow unmarked graves as “unknown soldiers” after losing their lives due to inadequacy of information, strategy and weaponry caused wholly by embezzlement of the Military’s budgetary allocation. In 2012, the office of the National Security Adviser under the leadership of the late General Adrew Azazi, got about 1 Trillion Naira in budgetary allocation. This amount was ordinarily supposed to be geared towards the acquisition of state-of-the-art arms and ammunition to be used in the Army’s counter terrorism campaign. In 2013 the Office of the NSA was allocated about N81,309,412,020 while the armed forces got about N364,415,146,885. In the 2014 budget, the figures are N117,725,072,907 for the office of the NSA and N349,707,339,871 for the armed forces. Meanwhile, sometime earlier in the year, Mr. Jonathan had come out to seek approval for another loan of about 1 Billion Dollars for the same purpose of acquiring arms and ammunition for the armed forces. The apposite question then becomes, what happened to the 1 Trillion Naira that was paid to the office of the National Security Adviser under the leadership of Andrew Azazi? To follow up in quick succession, questions like: how much is the complete kit/gear of each soldier in the Nigerian Army? How much is the risk allowance of every soldier at the war front? Are the allowances paid as at when due? Why is there shortage of requisite ammunition to fight this cancerous insurgency? Why is it difficult to send Nigerian Soldiers to the battlefront without more than a magazine of bullets for his A.K 47 while the members of Boko Haram generally need an extra person to carry the belt of their seemingly inexhaustible bullets (as seen in the videos of the attacks on Giwa barracks and overrun of Gwoza) for general purpose machine guns, rocket propelled grenades, and even armoured tanks? I wonder why our finest and bravest men are sent out blindly to die in the face of the obvious superior fire power of Boko Haram. Obviously, victory is not only a result of military training. It doesn’t require rocket science to realize that military training without ammunition will result in losses and casualties. I wonder what happened to the 5 helicopter gunships that were procured by Olusegun Obasanjo? Why does it suddenly seem like the Nigerian Airforce has been silenced in this battle as against the usual pounding of the obviously inadequate and relatively obsolete alpha jets that hitherto went before the troops and in other cases served as back ups? It is obvious that the Nigerian Army has been abandoned and left out in the cold by thieving politicians and probably the top echelon of the army, as severally insinuated by organizations like Transparency International who have singled out corruption and embezzlement of funds voted for the equipping of the military as the cause of the seeming drought in the armoury of the armed forces. Military contractors have been known to deliberately purchase 2nd, 3rd, 4th hand military hardware which has become the bane of the current campaign against Boko Haram and consequently resulted in the death or disappearance of my friend Captain Aliyu Musa as the case may be. Yet, due to this great act of treason, droves die and nobody has been apprehended, investigated and prosecuted. Is everybody not obviously complicit? Including the Commander in Chief? Or is he oblivious of these redundant facts? I use this medium to request, that the Nigerian army begins a program to immortalize both officers and NCOs (Non Commissioned Officers) alike who have been killed due to the selfishness, callousness and corruption of the same government that sends them out to Defend its territorial integrity and in the process sends them to deaths that could have been prevented if these brave and gallant soldiers were properly and adequately armed and catered for. This is not asking for too much. It is as simple as having a public wall emblazoned with all the names of those we lost (something like the Vietnam Memorial Wall in the US). These soldiers too are flesh, blood, brothers, sisters, sons, daughters, parents and ‘FRIENDS’ alike. Their life is worth more than a press release and an unmarked grave. This is only the beginning of a campaign to ensure that the 2% of soldiers that stake their lives for the 98% of civilians like us, get their due. We will as a people, question the votes for security and the armed forces and we will hopefully get to the root of this rot. We will get there, so that my friend and yours will not lose their lives in vain.